Ibibio Sound Machine have announced major gigs for the new year! Catch them make a headline performance at 100 Club in London on Wednesday 13th of March 2019. Plus, they join The Chemical Brothers for All Points East at Victoria Park in London on Friday 24th of May 2019. Ibibio Sound Machine is Eno Williams (vocals), Alfred Kari Bannerman (guitar), Anselmo Netto (percussion), Jose Joyette (drums), John McKenzie (bass), Tony Hayden (trombone, synth), Scott Baylis (trumpet, synth), and Max Grunhard (saxophone, synth). 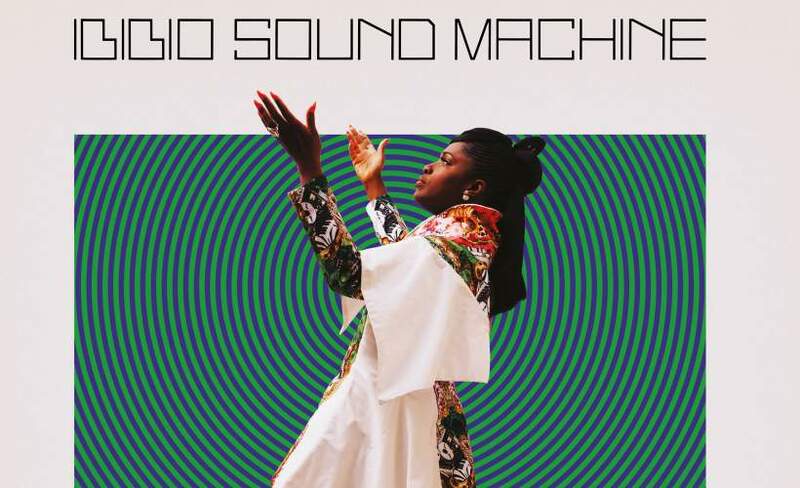 Here at Gigantic, we are very excited to be able to offer you Ibibio Sound Machine tickets. But with demand always growing as the word spreads, you will need to act fast and books yours before they all go. Booking your essential Metallica gig tickets is made easy as you can place an order through our site 24/7 whilst at home or on the move using your tablet, smartphone or computer. With interest so high, it makes sense to set a personal reminder with Gigantic right now. That way, we can alert you with a text message or an email shortly before your Ibibio Sound Machine gig tickets are released at 10:00 on Friday 9th of November. Ibibio Sound Machine will release Uyai on March 3. Fronted by London-born Nigerian singer Eno Williams, Ibibio Sound Machine is a clash of African and electronic elements inspired in equal measure by the golden era of West African funk, disco, modern post-punk, and electro. The intervening time since their self-titled debut album in 2014 has been spent forging a reputation as a high-energy live act appearing on stages such as Later…with Jools Holland, Glastonbury, Roskilde, and the BBC 6 Music Festival, as well as at iconic venues such as Shakespeare’s Globe Theatre in London as part of Lauren Laverne’s “Wonder Women” series. Weird and wonderful folk stories, recounted to Eno as a child by her family in her mother’s Ibibio tongue, form the creative fabric from which the band’s unique musical tapestry is woven. Evocative poetic imagery and empowering messages set against an edgy, Afro-Electro soundscape give the band a unique space within the current wave of modern Afrocentric sounds sweeping across the globe. Despite the huge demand, we only have limited amounts of Ibibio Sound Machine concert tickets available so you will need to book quickly or you will miss out. Having provided excellent customer service for ten years, you know Gigantic is the right place to book your essential gig tickets. So, make us your first choice whenever you book your big night out.